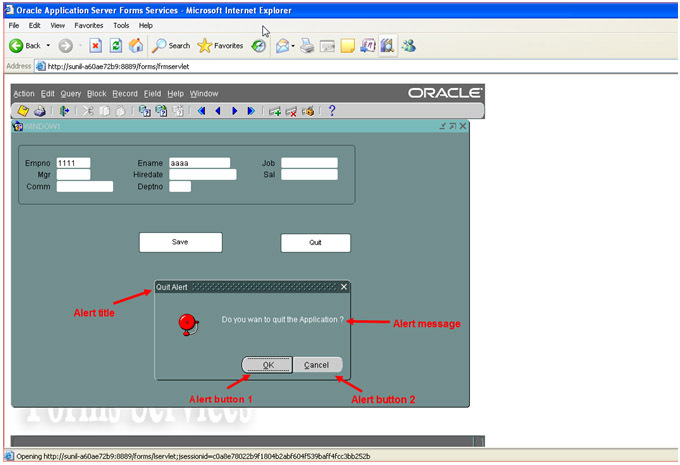 Creating Database procedures and functions in forms. Used to display messages programmatically. Message will be displayed in a window. Supports to provide action based on button selected in message box. It will deactivate other application screens. There are three styles of Alert. Create a new table EMPFOUR same as standard EMP table. 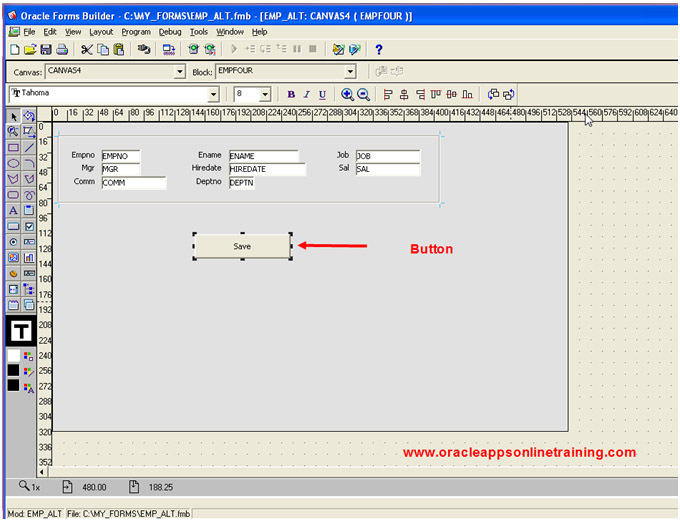 Create new form EMP_ALT.FMB using data block wizard and layout wizard. 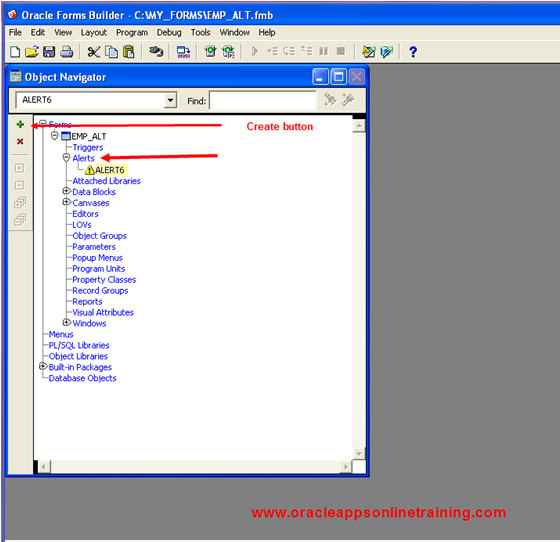 In object navigator , select Alerts and click on create. In the property palette of the Alert, provide the following details. In the Layout editor, create a button. 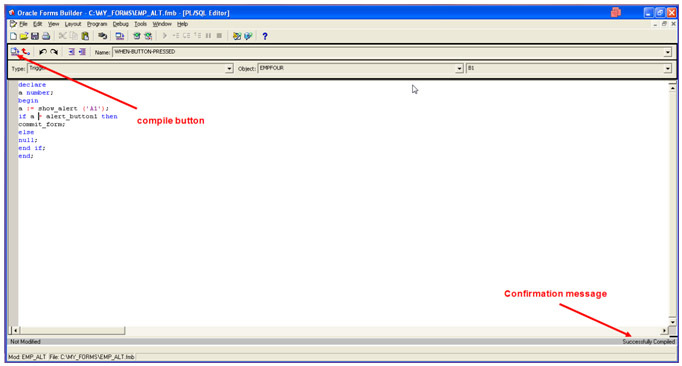 Create WHEN-BUTTON-PRESSED trigger for the button B1 and provide the following code. Click on compile, we should get confirmation message. show_alert is a built_in, used to display alert. Message -- Do you want to quit the Application ? Create WHEN-BUTTON-PRESSED trigger for the button B2 and provide the following code. 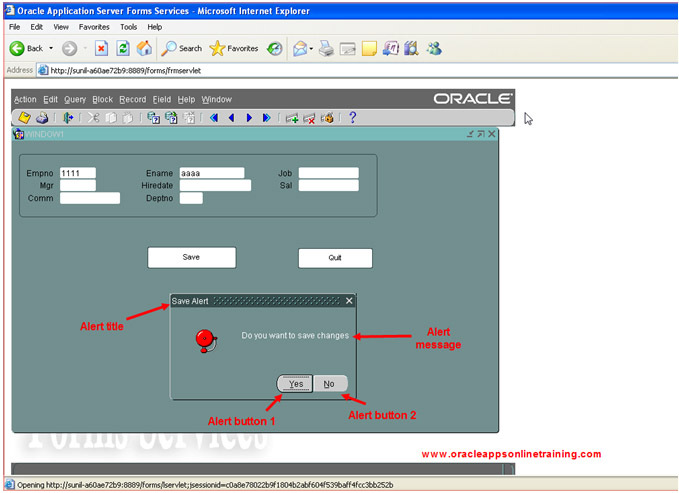 Click on Save button, Alert is displayed. Similarly, click on Quit button, Quit Alert is displayed.